Doug Brady, Conservatives4Palin reported that Joe Miller discussed the GOP establishment’s digging in rather than admitting defeat among its candidates such as Lisa Murkowski with Neil Cavuto tonight. Murkowski is currently keeping her Senate Energy Committee leadership position. In his interview with Cauvto, Miller spoke highly of his main endorser, Gov. Palin regarding her as a “phenomenal asset to the nation,” who “has [and continues to do] extraordinary things for the country.” When asked if he would endorse Gov. Palin for a 2012 POTUS run, Miller said he regarded her as being the “top of the field of candidates,” but made clear that there was no quid pro quo in his statement and that he does not do business that way. The National Review wrote a scathing editorial about the GOP protecting Murkowski rather than following the will of the voters, and removing her from the position. The National Review’s editorial board called upon readers to support the Miller campaign. Gov. Palin Tweeted about the editorial at 17:15 (5:15 PM) AKDT. On Monday, September 20, 2010, Bristol Palin made her national debut as a dancer with Dancing with the Stars. On Wednesday, September 22, 2010, Bristol launched her official Facebook fan page. As of this writing at 11 pm EST, Bristol has over 2,000 fans on Facebook! Wow! There truly is strength in numbers! If you have not become of fan of Bristol, please click this link and share it with all your friends http://www.facebook.com/pages/Bristol-Palin/109696302423164. Let’s try to get Bristol to 3,500 friends by Sunday night so that we can all encourage her and vote for her on Monday! Way to go Bristol! We are all so proud of you! Autumn has come early to Alaska. Around mirror-still Lake Lucille, the leaves are already turning gold. A year ago, Sarah Palin gazed out across this lake as she hunkered down to write a book many felt the world might ignore. She had just resigned as governor of Alaska. The losing 2008 vice-presidential candidate had been roundly written off by what she terms the “lamestream media” as yesterday’s news. People in Washington and Wasilla wondered if her time had come and gone. Her “rambling resignation speech should take her off the political map for the duration of the Obama era,” wrote conservative New York Times columnist Ross Douthat. Palin is now more popular nationally, more in demand by conservative groups as a speaker and far richer than she’s ever been. She has earned an estimated $9 million by talking and writing — her first book ended up being a best seller, thank you very much — and she has inked a reported $1 million annual contract with Fox News. Oh, and she’s become the most important independent endorser in a generation: her 16-11 win-loss record in the recent GOP primaries gives her a lot of political chits to call in if — just to suppose — she were to weigh a presidential run. This fall, as Palin looks out over Lake Lucille, she has just wrapped a reality show about Alaska (pocketing $2 million for the effort), she is penning a second book, and her every tweet is devoured by the same media that often scorn her. How, exactly, did this happen? How did Palin, with no official platform and winning little more than disdain from the GOP establishment — and contempt from the Obama-friendly media — make such a comeback? After all, she isn’t just proving herself to the snobs in Washington; she’s leading an insurgency against them. And she’s winning. The key question, of course, is just how far a Palin insurgency can travel. While she may be the most famous and charismatic Republican in America, there is significant disagreement over how that might translate into power. Polls show that 40% of Republicans doubt she’s qualified for the presidency in 2012. There are signs that Palin herself has little interest in building a top-drawer campaign operation. No pollsters or big-time consultants have been hired. She doesn’t have a formal spokesperson. Instead, Team Palin is run by a tiny inner circle of old friends and trusted aides. It’s all part of her style. Alaskans are quick to say they’ve seen this side of what some call “Sarah Barracuda” before. She ran as an outsider in her 2006 bid for Alaska governor — after abruptly resigning her job in 2004 as head of the state’s powerful Oil and Gas Commission to blow the whistle on the illicit mixing of politics and business that she witnessed there. She then spent a year traveling around the state, railing about its political corruption and the complacency of then governor Frank Murkowski (a fellow Republican who had appointed her to the commission). 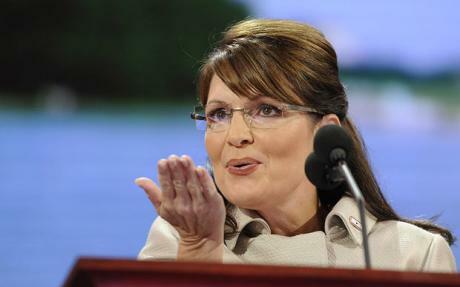 Immediately following the 2008 loss, Palin tried to make nice with the Washington establishment. She donated to the Senate’s old Republican bulls, like Orrin Hatch of Utah, Iowa’s Chuck Grassley and Lisa Murkowski of Alaska (Frank’s daughter). She attended a fundraiser in Washington for her party’s congressional candidates, and tried to mend fences with the media. But like a hunter knowing where the bear is — without knowing precisely how she knows — her gut veered further right a year ago. After flirting with Washington, she retreated to Alaska and became more involved with, and a de facto leader of, the Tea Party movement. There is a synergy between the Tea Party and Palin that has inflated each side, accelerated by the evolving 24-7 news cycle that has covered each nonstop. It initially blew up in her face. Her endorsement of a little-known, conservative Republican, Doug Hoffman, for a special election in upstate New York in October 2009 backfired. Her backing split the local party apparatus, which favored moderate Dede Scozzafava. It ended up giving the win to Bill Owens, the first Democrat to fill the seat since the Civil War. Yet the publicity Palin’s nod generated was instructive: it taught her just how much clout she had begun to command. This year, she has backed 27 candidates — largely from the Tea Party — including 16 primary winners, mostly in Senate and gubernatorial races. While many — Alaska’s Joe Miller, Delaware’s Christine O’Donnell and Rand Paul in Kentucky, among them — were originally deemed outside the mainstream, Palin has helped change that river’s course. All three won their GOP primaries against more moderate candidates. She cyber-brandishes her power directly to her followers via a stream of Facebook posts and tweets (as well as a pair of videos). That means she doesn’t need to run her talking points and beliefs through traditional media, save for an occasional Fox News chat. And she likes being unpredictable: in many cases, her endorsements take even the candidates themselves by surprise. So far, she seems politically sure-footed, riding the Tea Party wave like a skilled surfer. “It is just so inspiring to see real people — not politicos, not inside-the-Beltway professionals — come out and speak out and stand up for commonsense, conservative principles,” Palin says in a video she released this week. “This party that we call the Tea Party is the future of politics.” No one knows what Palin’s immediate future holds, never mind the election of 2012. She has been coyly dropping hints. If no one else steps up, “I would offer myself in the name of service to the public,” she told Fox News on Wednesday. Washington pundits are already scoffing at the idea of a Palin candidacy, especially at the notion that her GOP giant-killing makes her the one to beat. Palin’s “the front runner?” asked the New York Times‘ Douthat last weekend. “That’s bunkum.” But if she has proven anything this year, it’s her ability to surprise — and beat expectations. 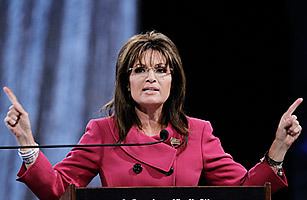 See pictures of Sarah Palin during the 2008 presidential campaign. Tonight on ET Teaser featuring Gov. Palin retrieved from Entertainment Tonight. Entertainment Tonight covered Bristol’s drive to Wasilla with Mark Ballas, her partner on Dancing with the Stars, as well as a Dance Bristol Dance rally held outside Sonja’s Dance Studio where the dynamic dancing duo is rehearsing for Monday night’s show. Governor Palin will be in the audience for Week Two. Bristol also had an exclusive interview with In Touch Weekly. As it turns out, dancing is a family affair. “[My sister] Piper takes hip-hop class here [Ed. Note: Sonja’s in Wasilla], and ballet and jazz and tap dance, and she has for a long time, and our cousin takes dance lessons there [Ed Note: a studio in Anchorage],” Bristol said as she drove Ballas to Wasilla. Bristol established her Facebook Page, on September 21. Less than 27 hours later, she secured 1,000 friends there. US for Palin and venues where its content is syndicated broke both the Facebook page establishment and 1,000 friends milestone stories. As of this writing Bristol has 1,761 Facebook friends. Bristol is a contestant on Dancing with the Stars, and an advocate against teen pregnancy for the Candies Foundation. Her performance of the Cha-Cha-Cha with Ballas propelled Bristol to the Week Two Round of Dancing with the Stars, which airs Monday, September 27, 2010. The complete Entertainment Tonight (ET) interview airs Monday, September 27, 2010. It looks like Team Ballin has made a big hit in Alaska. Governor Palin today tweeted links to photos taken as Bristol and Mark were greeted by Wasilla residents shortly after their arrival. You didn’t forget about Obamacare did you? With all the brouhaha recently over the momentum of the Tea Party, and the heightened concern about job loss, Sarah Palin on the day the first changes of our health care system took place, wanted to make sure you certainly didn’t forget and has renewed her effort to Take Back the 20. Palin posted a Facebook note on Thursday titled, “Lies, Damned Lies–Obamacare 6 months later; It’s Time to Take Back the 20,” sure to heat up even more debate about Obamacare. In the post, Palin makes a lengthy list of some of the problems associated with Obama’s heath care overhaul. Palin goes on to analyze how federal dollars are being used to fund abortions, the effect on small business, and the president’s promise that his bill would ensure “everyone [has] some basic security”. Palin also reminds everyone that “yes, those rationing “death panels” are there, and so are the tax increases that the president also promised were “absolutely not” in his bill,” so Palin is renewing her effort to Take Back the 20 and has launched a new website dedicated to the cause. Yes, her target list is still under the crosshairs–the ones that upset liberal bloggers and accused Palin of inciting violence. But Palin is once again reloading and the new website, TakeBackthe20.com, focuses on the 20 congressional districts that John McCain and Sarah Palin carried in 2008 which are or were represented by members of Congress who voted in favor of Obamacare. In a recent article by Robert Schmul on AOL Politics, he has hit conservatives below the belt in a way that he hopes will stick. If you can’t get the American population to get behind your socialist President, then just try to paint the conservative leaders as suspiciously similar to him. He claims that Sarah Palin is a lot like Barack Obama. He points to similarities that are encapsulated at sarahpalinblog.com. Both emerged quickly on the national scene and used their charisma to become media-magnified political celebrities. Both were tapped to deliver major speeches at national party conventions. Both followed up their initial national exposure with well-publicized books. Both became nationally recognized as Washington outsiders with limited governmental experience. Both share somewhat exotic backgrounds far removed from the continental United States. Both have positioned themselves in opposition to the existing establishments. Both created followers who are closely connected and willing to work on behalf of emerging and engaging personalities. But I see major differences. Obama is a socialist, Sarah Palin is a capitalist. That is basic and definitive, and makes any comparison rhetorical. Those observations are no more relevant than their sharing a preference in breakfast cereal. Obama is the most pro-abortion president in history. Abortion is an act that places self-interest first. Sarah Palin gave birth, at a most inconvenient time, to a beautiful little boy who has Down Syndrome. That is an act of selflessness, compassion, and love. Obama holds a European socialist view that America should apologize to the world for being a super power for so long. Sarah thinks America is still Reagan’s “shining city on the hill” and should continue to lead the world into a bright future for all who understand the precious concept of freedom and individual liberty. Obama looks most comfortable at a U.N. meeting with all his like minded friends who long for one-world government. Sarah looks most comfortable at home, making moose stew dinner for her family after a good hunt. 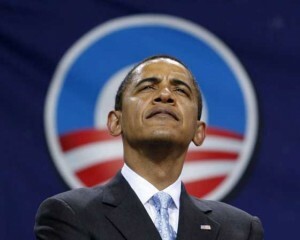 Obama leaves God out of the Christmas address, the Thanksgiving address, the Preamble to the Declaration of Independence, and the Jewish Proclamation, all while arrogantly asking him to bless our Nation. Sarah takes a prayer team with her to hold her accountable everywhere she goes. She literally doesn’t make a political move without joining her prayer team and asking for direction from God—not one. Obama depends on a teleprompter, because he wants to be sure his words are packaged and perfect. Sarah Palin wrote on her hand, because that’s what chicks do, and she is real. Here is an observation Mr. Schmul: While Republican candidates clamor for the Palin endorsement in primaries, it is difficult to find a Democrat who wants to even be seen campaigning with Obama. No one knows if Sarah will ever run for office again. She is a private citizen who is one of the most effective voices speaking for the American people today. She does not even need an office to do that. Obama is elected, running, and so out of touch with America that he still clings to notion that the only reason for the unpopularity of his health care plan is that Americans just don’t get it. Using Robert Schmul’s approach, one could find “commonalities” between Hitler and Mother Teresa, but the reality is there is no comparison when it comes to their hearts, their goals, and their legacy—the things that really count. Sarah doesn’t need a base because she isn’t running for anything so far.